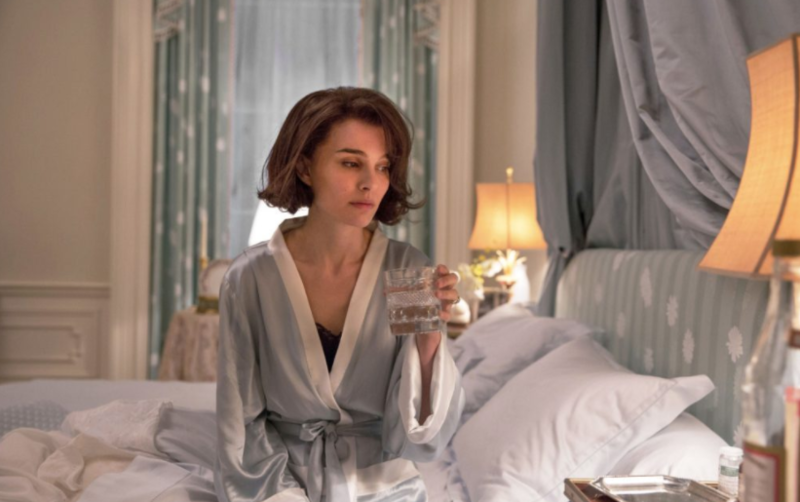 Jackie Review | Oscar buzz reaches fever pitch around Natalie Portman. "There are also many poor quality biopics that garner accolades despite bearing little artistic merit. Jackie is one of the former. It's also one of the best films of the year." "Perhaps most fascinating about Jackie Kennedy was that she was a relatively normal person caught in a position that was anything but." Biographical pictures occupy a murky position within my appreciation of film. Pablo Larraín‘s Jackie is arriving in cinemas at a time of year when many biographical pictures do, because for whatever reason, they are a form of film that attracts a lot of positive attention when it comes to prestigious awards. Leading up to the screening of Jackie, I flew into a furious rant to the friend that was accompanying me about biographical pictures; how they are a cheap form of cinema that constitutes a large percentage of one of my most loathed aspects of the film industry – Oscar bait. My outburst was a generalisation. There are many wonderful biopics. There are also many poor quality biopics that garner accolades despite bearing little artistic merit. Jackie is one of the former. It’s also one of the best films of the year. The title is misleading. Jackie Kennedy may be who the camera follows the most but the ghost of her husband dominates every scene. JFK’s work, his legacy and the political climate of the United States of America following his assassination are as much a focus of the film as Jackie, if not more so. Many biopics are interested in getting to the bottom of their subject, but in Jackie, the titular first lady is a vessel for the filmmakers to explore so much more than her personality and accomplishments. Perhaps most fascinating about Jackie Kennedy was that she was a relatively normal person caught in a position that was anything but. There are many powerful films about individuals that have had history thrust upon them but I’m inclined to believe that Jackie is not one of them. She is too passive a character here to have had a hand in shaping history. That’s not a criticism. Jackie is about the four worst days in Jackie Kennedy’s life. It’s also about the political environment at the time and the figures that dictated that environment. Watching the film, there’s a detachment between Jackie’s grief and America’s turmoil, but of course the two are impossible to disentangle. The director, Pablo Larraín, has shot the film entirely on three-quarter-inch video cassettes. What this means is that it’s virtually indistinguishable from news footage from the era and spookily complementary to the iconic footage of the JFK assassination. What that means is that Jackie feels immediate and it feels real. Larraín supports this visual sense of realness with his content. One qualm I have of many biographical pictures is their willingness to manipulate fact as a consequence of a lack of faith in the true story of the subject of the film. That’s why Alan Turing punches somebody in the face in Morten Tyldum’s largely fabricated The Imitation Game. But fact is always stranger than fiction and Jackie is its most fascinating when it sticks to events and discussions that either almost certainly occurred or aren’t too far off the mark. The scenes that must have involved a greater degree of speculation are the weakest parts of the film and are thankfully seldom. Natalie Portman is marvellous as Jackie Kennedy. There’s far less mimicry than the trailers have suggested. It’s also an unexpectedly modest performance, perhaps because perhaps the thing about Jackie Kennedy is that she’s not as fascinating as the situation that she found herself in, prior to and following the assassination of her husband. And Jackie is not a product of Portman’s performance but rather the other way around. It’s a persuasively well-made film and not one of the biopics that I ranted about before walking into the screening. If Jackie Kennedy was an enigma to me before watching Jackie then she still is and that lack of interest in bold statements about its subject may be one of the most peculiar and compelling things about this Jackie Kennedy biographical picture.